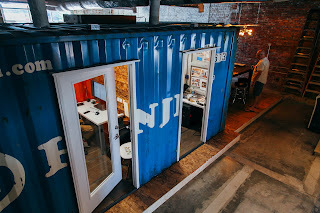 WILMINGTON, N.C. -- Since opening its doors in a refurbished firehouse this August, Coworx has been generating buzz about its innovative co-working space in the Port City’s Cargo District as it finds its place among Wilmington’s burgeoning startup scene. Attracting B2B and B2C entrepreneurs, professional service providers, artists, and retail businesses Coworx has the standard offerings of coworking desks, custom workspaces, conference rooms, private offices, and public space to network and connect with talented peers in an aesthetically pleasing, professional, yet laid-back environment. 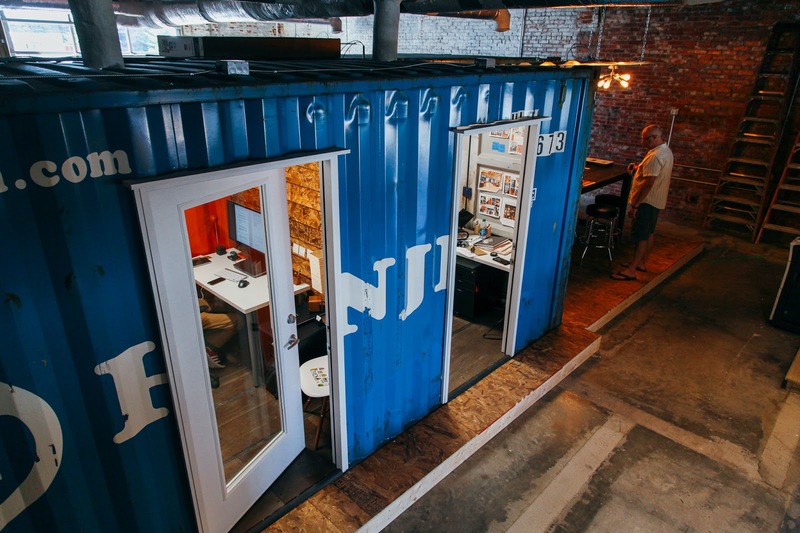 Although the initial buzz has surrounded the unique customized shipping containers being integrated into the Coworx architecture, the long-term success of the space as a cornerstone of the region’s startup ecosystem is its focus on building a legitimate live + work community within the surrounding area. “We want startups to come in fresh and work to a size where they can carry on. Our goal is to foster the entrepreneurial spirit, provide people a space to explore creativity and innovation, within the office and outside as well,” Coworx’s Director of Marketing Jacqueline Chase said. The “outside” Chase refers to is an ambitious development project located in the area around S. 16th, Castle, and Queen streets just outside of the Historic District featuring a village market/grocery store, retail pop-ups, coffee shop, modern container apartments, park, playground, and the area’s first food truck park. “We’re planning a green space, so it’s going to be kid and family friendly, a place people can show up, work, eat, connect and live,” said Chase. According to Chase, the location of the development was no accident. Its close proximity to the Medical District and 16th Street provides easy access for busy professionals, as a natural bookend with what’s happening down Castle Street with new businesses geared toward arts, health and wellness and, yes, craft brewing. 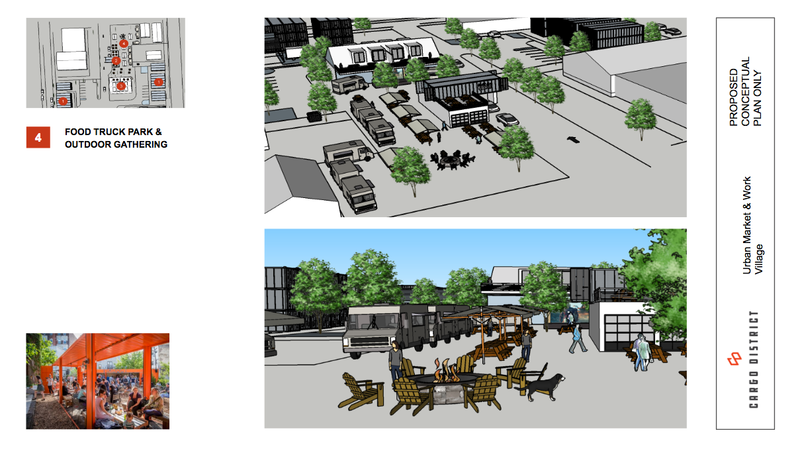 The grocery store and other elements of the Cargo District will be added at different times throughout the three-year project developers have planned, with Live/Work Units and the Food Truck Park coming in the first year. Coworx is shooting for 30-50 members in its current space, with long-range plans for 75-100 once new spaces are configured. The Live/Work Units will incorporate nine shipping container loft apartments next to the Coworx location at to 1608 Queen Street. Aligned in sets of three, the 20-foot containers will feature a very modern design by Rob Romero, owner of Romero Architecture, and will include standard amenities like a washer and dryer in a very deliberate “smart living” space. As Coworx begins forming symbiotic relationships with other players within the Wilmington startup ecosystem and the community, it is building an active team of experienced professionals including Leslie "Shawn" Smith and Bryan Kristof, developers of the Cargo District; Ty Downing, owner of ad agency SISDigital and SkyNav, Coworx's first tenant; and Community Manager Jessica Pham, a UNC Wilmington graduate who was heavily involved in the Charlotte startup scene. “We have plans to reach out to groups like Port City Young Professionals, Tech Talent South, and many others to put together educational programming like lunch-and-learns and one-on-one training to enable the community to work together and help one another grow,” Pham said. A temporary Food Truck Park is up and running in the area every Monday and Friday, and an official grand opening and groundbreaking event is scheduled for Friday, November 3rd. Coworx is currently accepting members for general membership, hot desk, dedicated desk, private office and custom workspace options at www.coworxspace.com or via email at info@coworxspace.com.